I came to the bay area, from Los Angeles, as an enlisted man in the US Navy stationed at Alameda Naval Air Station aboard the USS Samuel Gompers and I never left. I live in Berkeley and have been employed in the Biotechnology Industry for the last 20+ years. I have always been civic minded and have worked with many community organizations. My involvement in cycling and the cycling community has evolved over the last decade in conjunction with my understanding of human induced climate change. I believe a move towards non-carbon emitting technology simply makes sense and it is imperative that we act quickly. I believe the bay area, with its temperate climate and strong environmental community, can be the premier biking region in the nation and I want to work with Bike East Bay to help make it happen. Alden Mudge has been a North Berkeley-based freelance writer and editor since 2005. Before that he had a 20-year career in nonprofit management. A regular book reviewer and author interviewer, he is currently a member of the National Book Critics Circle and the jury of the California Book Awards, whose purpose is the highlight excellent books by California writers. Alden was given his first bicycle – a Schwinn! – on his eighth birthday and has been riding ever since. 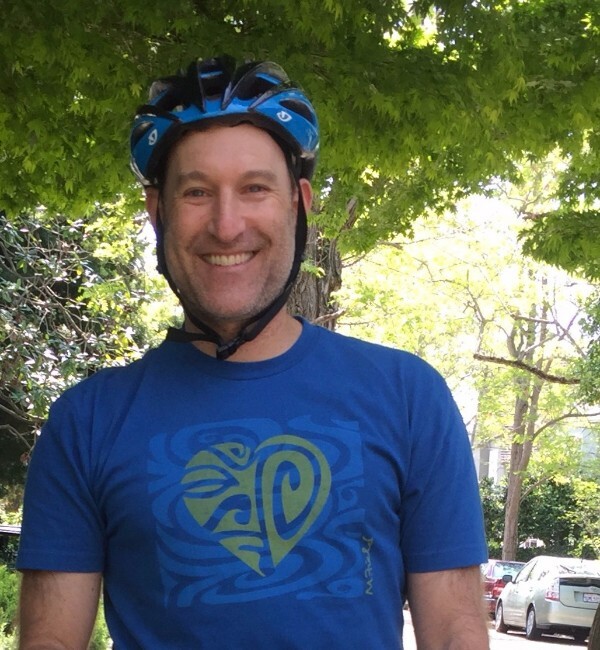 He began volunteering for the East Bay Bicycle Coalition, now Bike East Bay, in 2011, helping with communications, Bike to Work Day, and Measure B outreach. 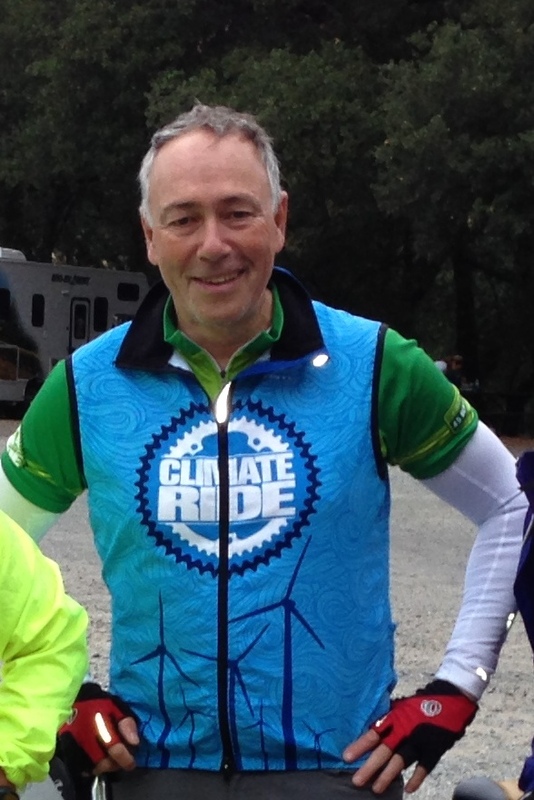 He was a member of the 2012 EBBC Climate Ride Team. 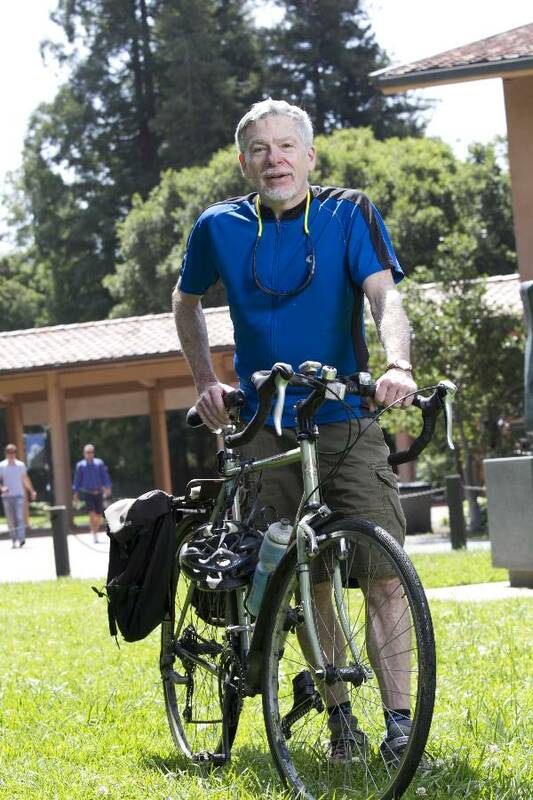 He wants all East Bay residents to be able to bicycle more miles than they drive. Researchers have demonstrated that long commutes by car make people angry and are slowly killing us; Kjiersten believes bikes can help. Bike boulevards, bike-friendly trains and buses, and bike share programs have improved our commute options in the past two decades dramatically. The ability to travel by bike is a privilege that should be accessible to everyone. Kjiersten joined the board in 2019. Kristi Marleau lives in the city of Dublin with her husband and two young sons. She puts her Master’s Degree in statistics to use as a self-employed evaluation consultant, designing surveys, building databases, analyzing data, and writing reports for a wide variety of organizations. She is the Safe Routes to Schools parent champion at her son’s elementary school and hopes to encourage the next generation to take up biking by organizing school events that encourage active transportation. Kristi started biking again for the first time since her childhood only a few years ago when she bought a cargo bike on a whim as a way to get her son to kindergarten without having to fight school traffic. 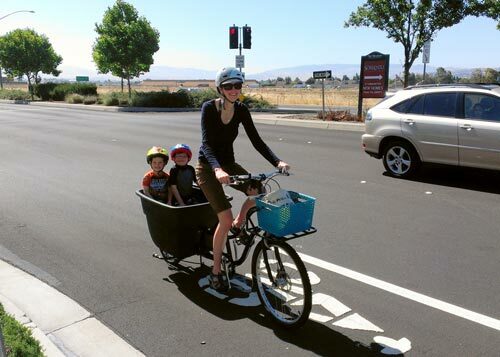 Soon the cargo bike became her and the kids’ primary mode of transportation and her husband, jealous of the fun they were having, bought a bike also and began commuting to Livermore by bike. Having her whole family on bikes almost every day has given Kristi a passion for seeing that the bicycling conditions in the Tri-Valley are the best that they can be. If you’d like to talk about biking in the Tri-Valley, cargo bikes or biking with kids, email Kristi at kristi@bikeeastbay.org. 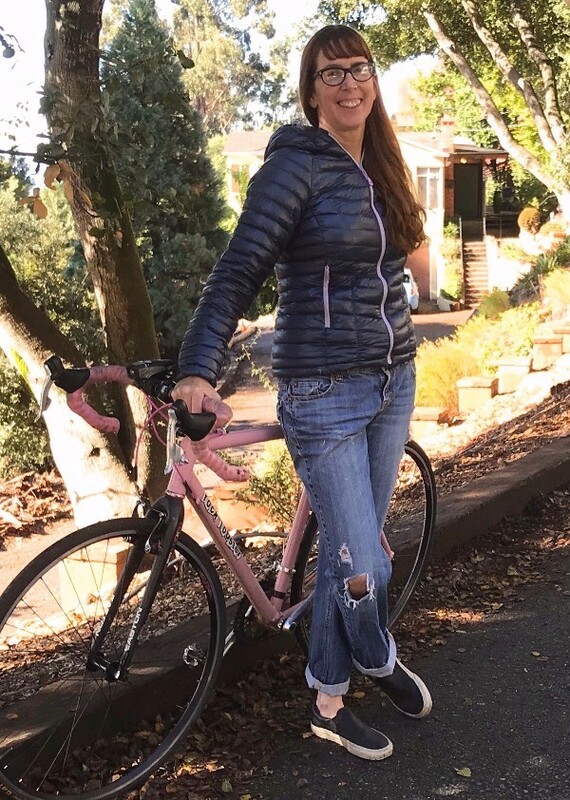 Lauren, a lifelong cyclist and 30+ year resident of Oakland, currently works as the VP of Finance & Administration at the National Interscholastic Cycling Association (NICA), a national nonprofit, youth cycling organization. As an Oakland resident and parent, she has volunteered throughout the years in various capacities in Oakland schools, as well worked on various school boards and committees. She has additionally helped to coach Oakland youth cycling clubs/teams throughout the years to help teach the benefits of cycling. 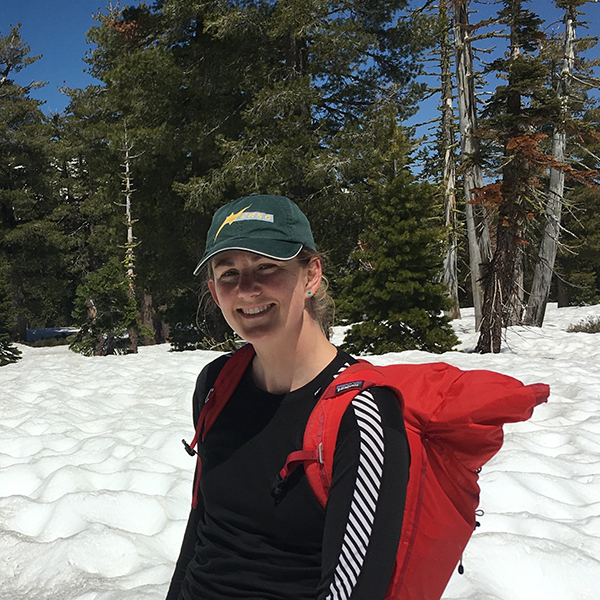 Currently, when not at work, Lauren also volunteers as the Board Treasurer of the BTCEB trail advocacy organization, commutes by bike, enjoys trail running, is pursuing an MBA, and guides her two teenaged kids while their prefrontal lobe development continues to progress. 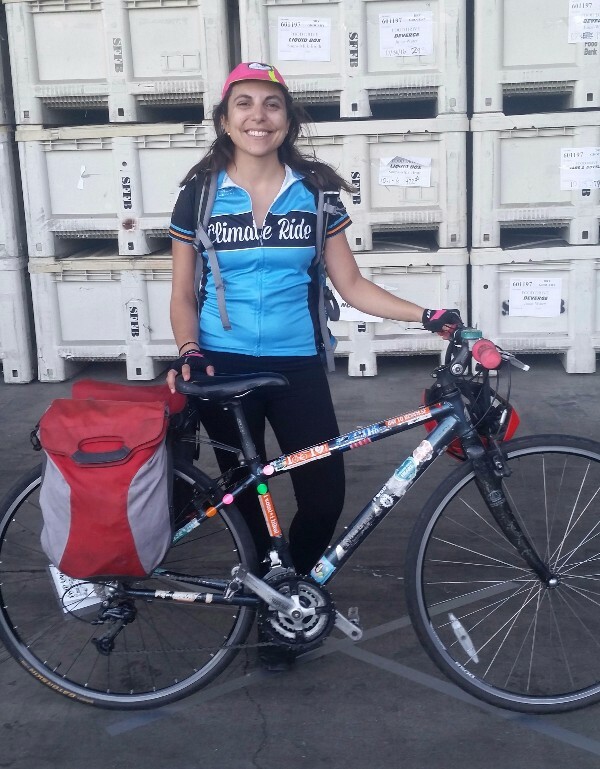 “I have commuted to work by bike for 20+ years through Oakland and Berkeley streets - and am excited to help to contribute to Bike East Bay and my surrounding community as I have been the beneficiary of the wonderful work the organization has produced over the years.” Lauren joined the Board in 2018. I have been a member of Bike East Bay for several years and am very excited to serve on the Board of Directors. I can often be seen biking around town on either a purple Trek with a bright yellow basket and flashy lights, or a Ford GoBike. My commute often involves biking to Jack London Square and riding Amtrak to San Jose. I am currently the Director of Asset Management for First Community Housing (FCH), which provides housing for over 1,400 low income households in the South Bay. For over a decade, FCH has been a leader in promoting alternate transportation in its communities. FCH is the largest purchaser of Residential EcoPasses, which allows its tenants to ride public transportation for free. FCH has hosted bicycle clinics and bike mechanic classes, sponsored community rides, hosted bike give-aways, built bicycling infrastructure, and promoted bike share in its communities. I have previously served on the board of Community Housing Partnership, which has a mission of Ending Homelessness through Permanent Supportive Housing. I have always believed that by building infrastructure and providing services for our most vulnerable populations, we end up improving the quality of life for everyone. I joined the Board in 2018. In 2005 I made the conscious decision to never own a car. I’ve have been a bike commuter since 2007 and a resident of the East Bay since 2009. I joined Bike East Bay after an event in downtown Oakland in the summer of 2009 where I was grateful to use their bike valet service. It’s been inspiring watching the organization grow in staff and membership and develop an overall culture of philanthropy in that time. I’m a three-time Climate Rider, and I recently completed a bike tour from San Francisco to San Diego. My professional background includes experience with nonprofit fundraising and event planning. I served on Bike East Bay’s Membership and Fundraising Committee as a volunteer before joining the board. I joined the board in 2018. Rick joined the board in 2003 and served as Treasurer for a number of years. He was Acting Executive Director from April 1, 2010 until January 30, 2011, and is “semi-retired” from a career in Financial Services. Rick says, “As a child in south Florida in the 1950s, I rode my bike about 2 miles to school (on a road that’s now far too narrow and busy to ride on safely). Re-entered the world of bicycling about 30 years ago as ankles/knees gave out from running. Now I split time between recreational and utility riding to the tune of about 150 miles per week. Rick also represents Bike East Bay on Oakland’s Measure DD Community Coalition, overseeing implementation of Oakland’s 2002 bond issue that’s funding major improvements to Lake Merritt and the Bay Trail in Oakland. And, he represents the interests of bicyclists on the Park Advisory Committee of the East Bay Regional Park District. Can’t understand why anyone wouldn’t ride a bike.” Rick earned an engineering degree from the US Naval Academy in 1965, and an MBA from the Haas School at UC Berkeley in 1972. 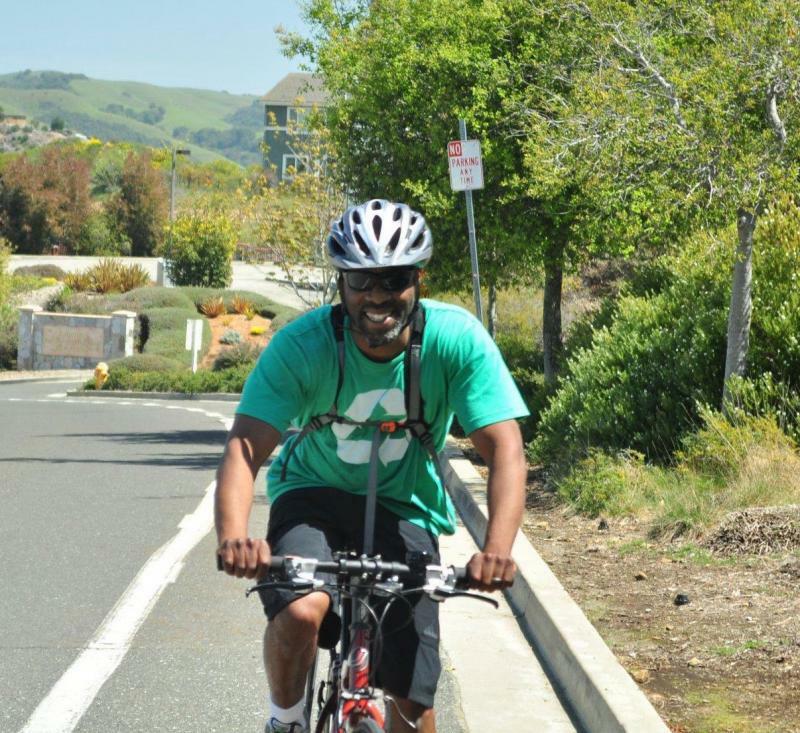 Rolland (Rolly) was elected to the Bike East Bay board in 2014. He is interested in bringing safer roads to all cyclists and helping East Bay companies to this important mission. Rolly has been in the accounting and auditing profession for 19 years, working primarily in financial services. 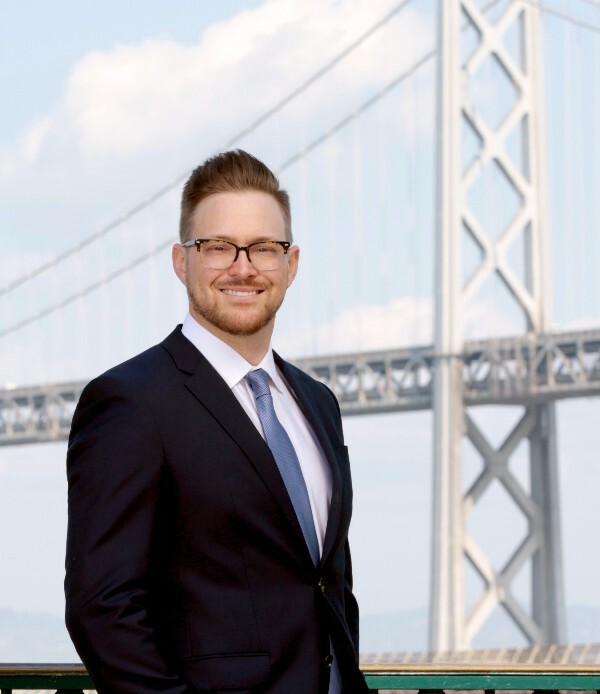 He is a licensed CPA in the state of California. 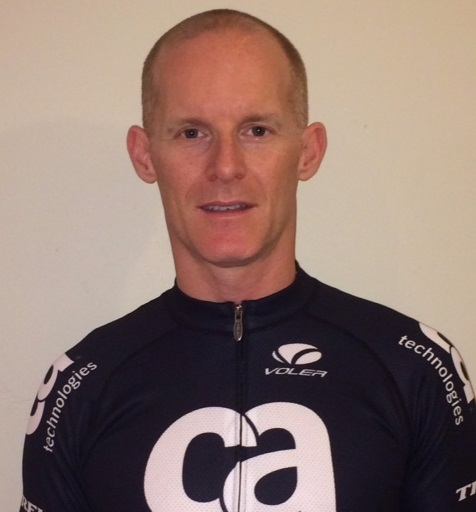 Rolly is a member of USA Cycling and an active amateur racer focusing on road and cyclocross racing. Sandra Hamlat is an environmental planner/project manager whose interests include the protection of natural areas and revitalization of urban areas throughout California, especially in terms of risk assessment and adaptation planning for climate change and sea level rise (SLR). 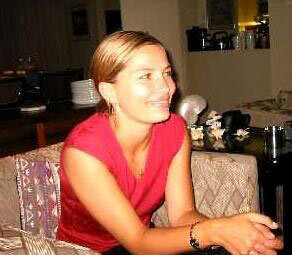 Sandra recently served as a project manager for the San Francisco Bay Conservation and Development Commission. Specifically, she worked on regional sediment management issues and their relationship to the effects of climate change such as SLR in the Bay Area. Prior to this position, she played a lead role as a member of the steering committee of a grassroots coalition of political stakeholders as they negotiated the short-term need for domestic oil with the long-term vision of the Baldwin Hills Park Master Plan until other renewable energy sources are more readily available. Sandra was also a member of the Green LA Coalition where she worked on a campaign for the City of Los Angeles to adopt a Low Impact Development policy by organizing stakeholder meetings and meeting with elected officials. She has worked for other private and public environmental organizations throughout California on various projects dealing with planning, composting, recycling, and land conservation. In addition to project management, Sandra prepared environmental review documents for urban park and brownfield projects. She also worked on the team that created the Los Angeles Multi-family Building Recycling Program. Sandra is currently a board member of Bike East Bay and has served on local League of Conservation Voters boards, for which she helps elect environmental candidates and fund-raise, over the past five years. Her educational background includes a Master’s degree in Urban and Regional Planning from the University of California at Irvine and a Bachelor of Science degree in Environmental Economics and Policy from the University of California at Berkeley. Steven is a long-time writer and communications professional at an Oakland-based health care foundation. He has served as fundraising director at his children’s elementary school and a coach in the Albany-Berkeley Girls Softball League. He can often be found participating in the Pan Mass Challenge, a massive two-day ride from Boston to the tip of Cape Cod that raises money for Dana Farber Cancer Institute. Here are our most recent annual reports on our wide range of bicycling advocacy activities. We’re proud of what we do!